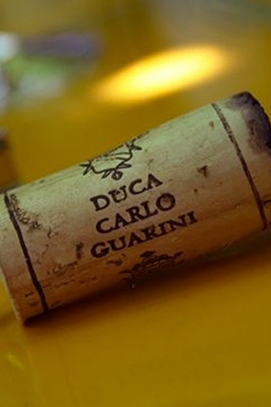 New wines to discover, an interesting tour of the historic cellar and the underground oil mill dating back to the Sixteenth century: this and more awaits you at Duca Carlo Guarini in Scorrano, when you book a tasting. In winter, in the vaulted rooms with fireplace, in summer under the colonnade of the old pergola, you can choose the wines to taste, our extra virgin and Agrumati olive oils, delicious creams and marinated vegetables of the food line Le Masserie del Duca. For groups of at least ten people we can organize tastings of wines,oil and typical food, prepared exclusively for you with our own products. Ask for availability in the days you prefer to shop@ducacarloguarini.it. Visit to the winery and guided tasting of the company products: two wines to choose among Murà, Taersia, Piccole Bolle, Campo di Mare, Malìa Rosa, Nativo, Pìutri, Vigne Vecchie e Malìa; Extra- virgin Olive oil “Duca Carlo Guarini”, accompanied by tarallini and friselline. Visit to the winery and guided tasting of the company products: two wine to choose among Murà, Taersia,Piccole Bolle, Campo di Mare, Malìa Rosa, Nativo, Pìutri, Vigne Vecchie and Malìa; Extra- virgin Olive oil “Duca Carlo Guarini”, the Agrumati, Lemon ,Orange and Tangerine flavored olive oil, preserves and marinated vegetables “ Le Masserie de Duca”, accompanied by tarallini and friselline. Visita della cantina con degustazione guidata dei tre vini autoctoni più rappresentativi: un Negramaro, un Primitivo ed una Malvasia Nera. Accompagnati da tarallini e friselline. Visit to the winery and guided tasting of Negramaro wine (Three Wine). Negramaro tasting in white, rosè and red ( different evolution and nuances based on the vinification tecnique used). Accompanied by tarallini and friselline. local dishes. Buffet at lunch or dinner. Visit to the winery and guided tasting of the company wines, food products and local dishes. 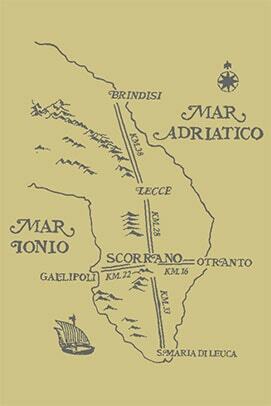 Lunch or dionner, with table service. Possibility of a personalized tasting, choosing our food products and the recipes below.